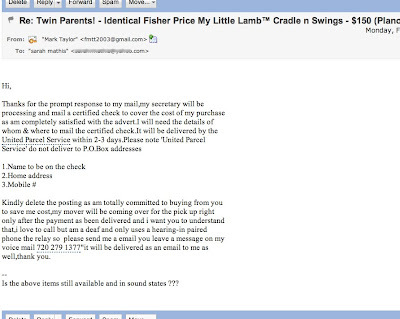 We currently have 2 infant swings for sale on Craigslist. I got so excited last night because someone wrote inquiring if we still had them available. "Yeah", I thought, "there's some pretty obvious grammar missteps, but who (whom?) among us doesn't make a grammatical error or too every know and again?" 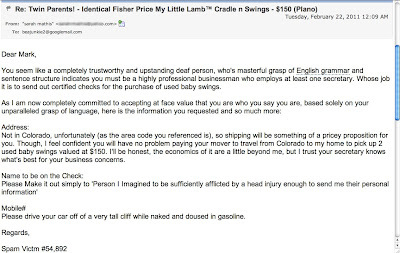 Could be a second language learner, someone that didn't finish high school, a young kid trying to buy some swings for his baby brothers, who knows? 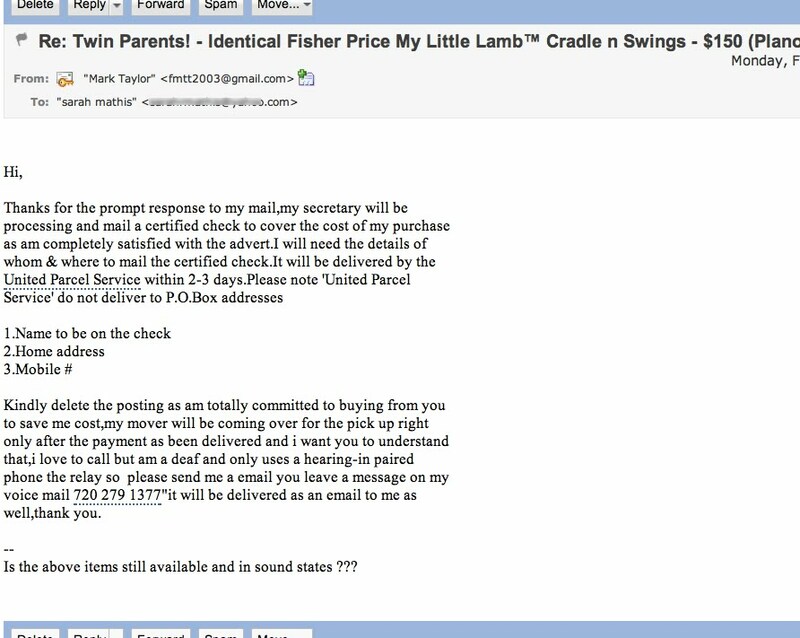 We all know what "send me your address for the certified check" thing means. There was no explaining that away. I gave my computer to Chris. how frustrating yet funny! did the boys like the swings? 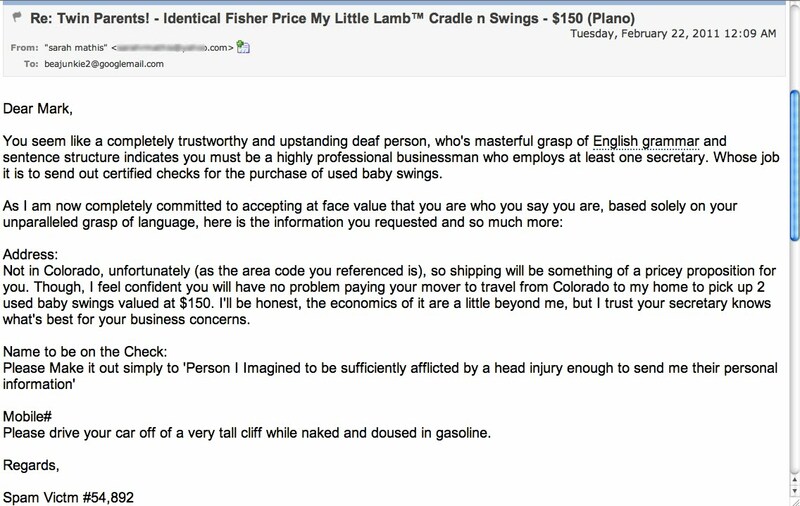 claire hated swinging but a borrowed one saved our first three to four months with henry. hope everything is going well. we LOVE the pictures!